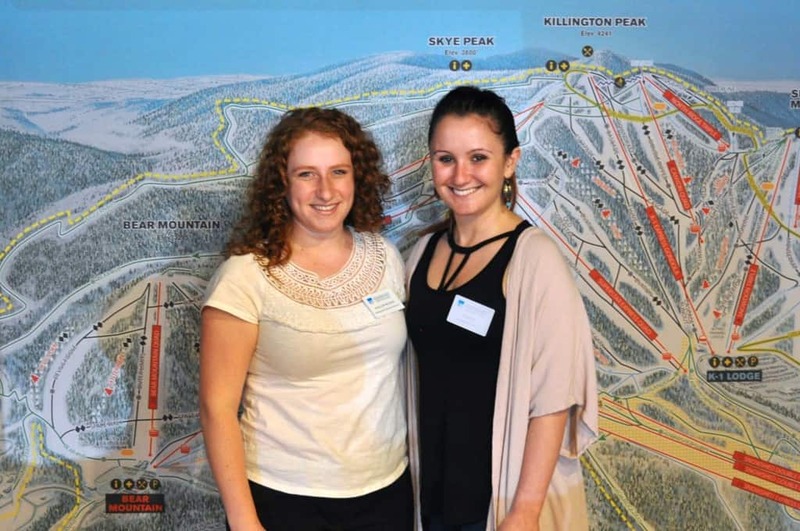 KILLINGTON—The Killington Pico Area Association (KPAA) has hired a new staff member in time for the busy summer season. Alexis King, from Pittsfield, Mass., is filling the role of membership and events assistant. After growing up in the hills of Berkshire County, Mass., she moved to the North Shore of Boston to study communications at Salem State University. After graduation, she spent two years traveling, which included a month-long, cross-country road trip. Neisner plans to continue living in Killington, and plans to be present at most KPAA functions, and will act in a consulting role to assist King in her transition. “My goal is to make this transition as smooth as possible with no discrepancies. I sincerely appreciate all of the opportunities that I have been given during my time with the KPAA and I look forward to seeing the continued growth of the community,” Neisner said. Outgoing Membership & Event Assistant Noellen Neisner (left) stands with her replacement, Alexis King.